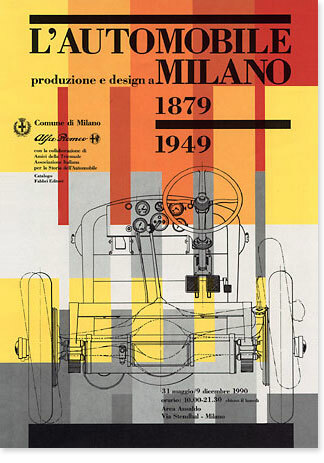 This design project was for the Fiat/Alfa Romeo exhibition commemorating 100 years of auto design and production in Milan. 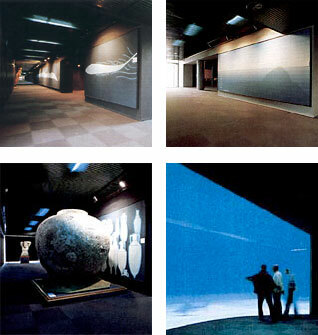 Key partners were Origoni&Steiner Milano, Angelo Tito Anselmi (curator) and the Renzo Piano Building Workshop, Genova. Project consisted of the corporate image, brochure, catalog, posters, street banners, ads, graphics, collaboration on the exhibition installation and video graphics. 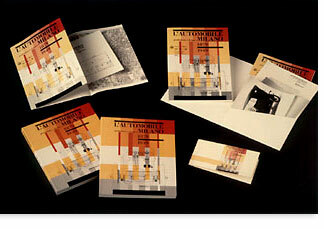 The exhibition brochure cover, interior pages and invitation cards. Street banner and the exhibition interior. 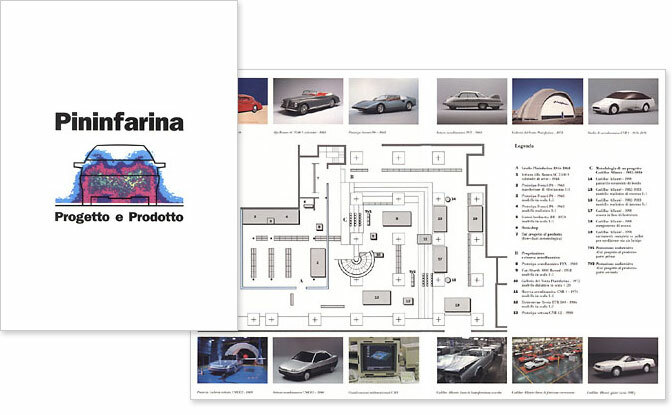 This project was for Pininfarina in collaboration with Origoni&Steiner Milano. 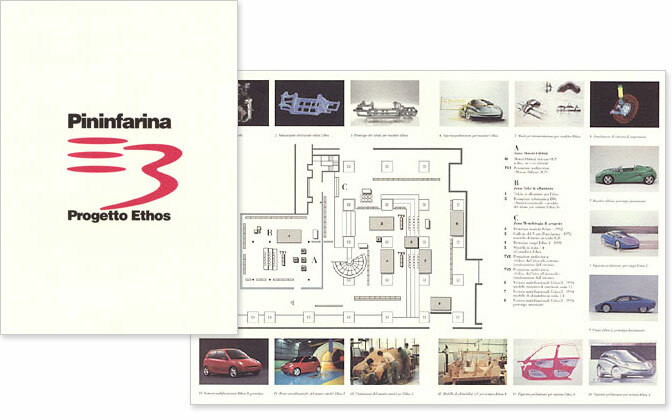 It consisted of the corporate image, brochure, poster, street banners, graphics, collaboration on setting up the exhibition. 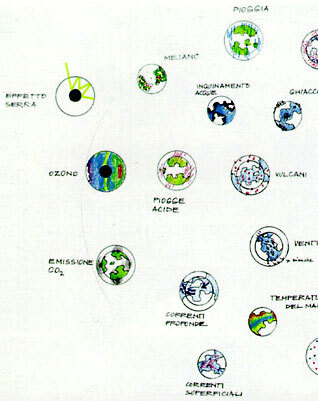 Detail of the brochure showing the exhibition plan at the Politecnico, Architecture Faculty in Milano. Design for the Italian Pavillion at the International exhibition in commemoration of the 500th anniversary of the discovery of America, Genova (Italia) . Inside the Aquarium at the Italian Pavillion. 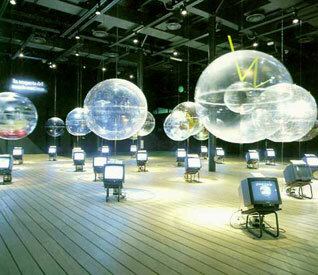 Theme-related globes about the Earth as endangered ecosystem, completing the exhibition at the Italian Pavillion. 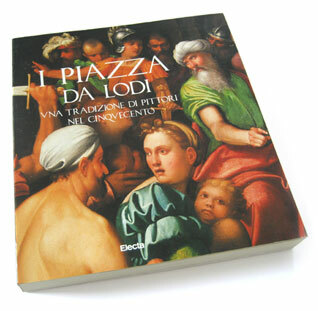 Design for an exhibition commemorating a family of 15th century painters in Lodi (Italy). 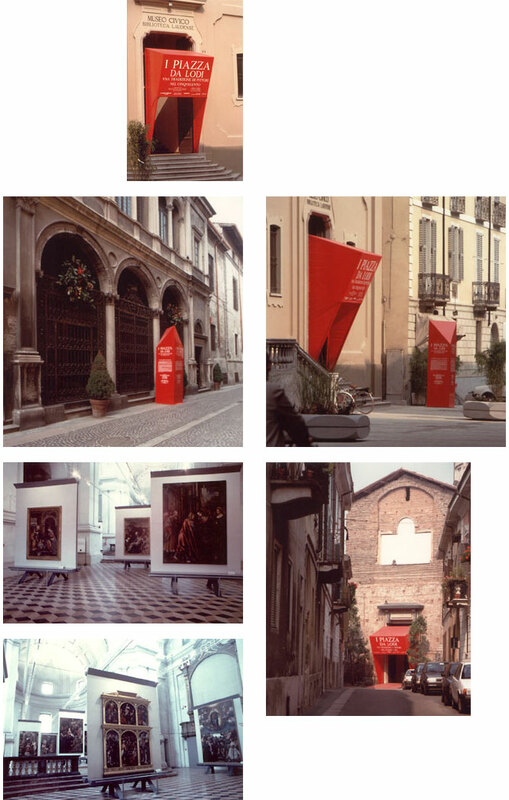 The project consisted of the corporate image, book-catalog, posters, street banners, graphics and three-dimensional design for the exhibition, street installation. Cover and interior pages of the book/catalog, street installations, interior of the exhibition. This graphic design project included creating the corporate identity, a book, posters, invitation cards, magazine ads, graphics for a travelling exhibition, graphics for a CD-Rom and video. 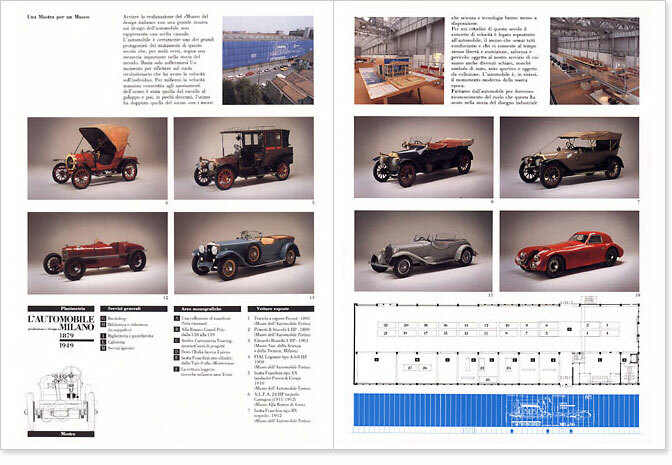 Ads were designed and placed in European magazines. 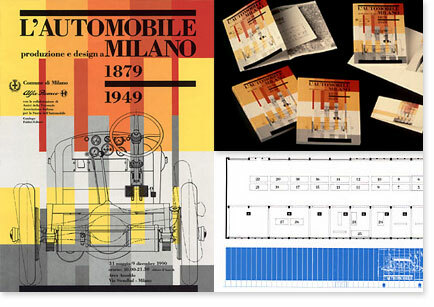 The book, published by Abitare Segesta Cataloghi in Milano (Italy), showcased the exceptional architecture of the library and cataloged all of the art, donated by Italian artists, that helped support the restoration of the library. The artworks were auctioned to raise money for the restoration. Book cover and layout design. Magazine ads for a European campaign. In my heart I dedicate this project to Roberto Sambonet, one of my greatest mentors of graphic design. I will never forget his precious direction while designing the ads and the cover for the book. He seemed fine to me and it was impossible not to be touched by his natural sparkling energy. But after a few days he suddenly went into the hospital and died. Thank you Roberto for your precious teaching and friendly spirit.